Experience the best craft beer Austin has to offer! 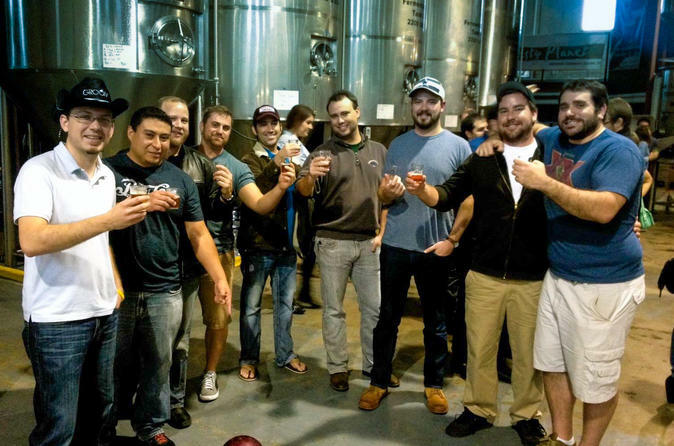 This walking brewery tour takes you from downtown Austin to three local breweries where you will sample fantastic beers and learn about the Austin brewery scene. Every small-group tour is led by an awesome tour guide to provide you with brewing information, beer notes, and Austin insights! All tours pick up and drop off at the Austin Visitor Center, and run for 4-5 hours. Jester King Brewery - Farmhouse beers that will blow your mind! Austin Beer Works - Austin's favorite party beer possibly made by unicorns! 4th Tap Brewing Co-op- The first worker owned cooperative brewery in Texas! What to Expect: Every tour meets outside of the Austin Visitor Center. Next, you'll head to three local breweries where you'll learn a bit about the Austin brewing scene, sample tasty beers, and most likely walk away with a little Texas pride. After the last brewery stop, you'll head back to the Austin Visitor Center. Please arrange a sober ride home or your tour guide will gladly assist you in arranging a sober ride home. It is asked that you do not make plans immediately following the tour. Your drop off time is approximate. Please allow a one-hour window.